Ohio Lawyer Organizes Class Action Suit Against CNN For Saying Really Mean Things About Conservatives - Joe.My.God. In a Periscope video that was watched by thousands, she told her viewers that she was rooting for CNN to say “worse things,” especially taking aim at Don Lemon for his reporting. She said that after a lot of research, she has determined that they may have violated a number of laws including 18 USC 2385 by advocating the overthrow of the government. Since joining Periscope eight days ago, Turner has garnered more than 150,000 likes, and has been watched by thousands. LawNewz.com confirmed she is an attorney in the State of Ohio with an active bar license. According to records, Turner had her license suspended in 2003, and again in 2006. Turner’s Twitter feed is a festival of far-right Christianist crackpottery. 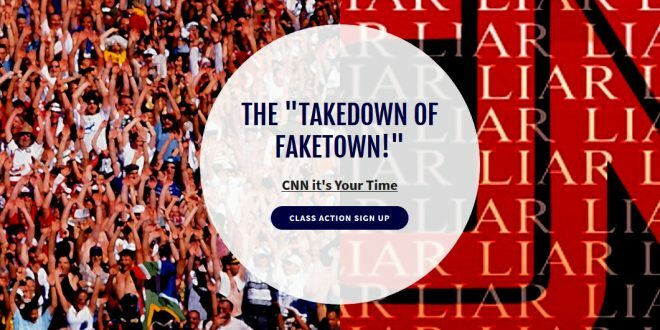 See the “class action” website here, but please do not sign up with fake and obscene email addresses. That would be wrong. At the 9:00 mark in the stupidly long stupid video below, Turner exults in her “discovery” that cyberbullying and menacing laws can be used against CNN. Yeah.